Dying hair is not for the faint hearted. It requires some level of commitment. It involves experimenting with your hair to try out a new look or to wear a look you saw on someone else. You are not always sure you will pull off the desired look you want when you perform the task yourself, especially if you are a beginner do-it-yourselfer. However, dying hair can also be exciting for people willing to experiment with their hair as well as those who know exactly what they are looking for in hair colour. There are pros and cons of DIY hair dye that you should keep in mind to help you determine whether DIY hair colouring is a good fit for you. The main advantage of DIY hair dye colouring is its cost. Price differential between a do-it-yourself hair colouring job and a professional hair do at the salon can be quite wide. The potential saving factor of a DIY hair dye treatment, however, makes it the more popular option for budget minded people. You can save hundreds of pounds on salon treatment costs by buying a home kit for colouring your own hair at home. It is often lots of fun to colour hair yourself, especially when you are with friends colouring each other’s hair. When applying temporary hair dyes, you can go crazy and make each other’s hair glow red, yellow or even orange! Also, it is likely you will do a good, satisfying job colouring your own hair because nobody else knows exactly how you want your hair done better than you do. 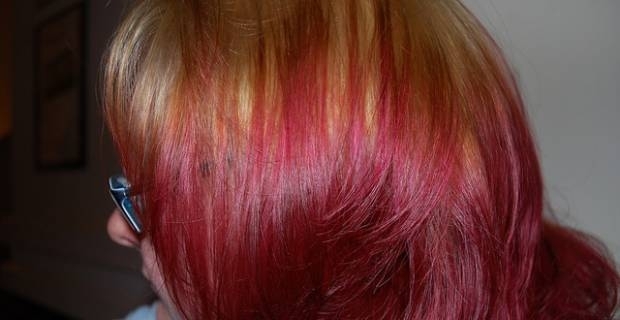 DIY hair dyes do not always look as good as salon results even though you know how to go about applying the treatment. One reason for this is because you can't see your whole head. A way to get around this problem, however, is to get together with friends and colour one another’s hair. Another con for colouring your hair yourself at home is that you miss out on the experience and professional handiwork that most hairstylists at the salon offer. Many of the stylists have gone through training, passed certification tests and acquired lots of practice and hands-on experience that can go a long way in helping you get the look you desire. There you have it. A brief overview of DIY hair dye - the pros and cons. Remember to always follow instructions on your DIY hair colouring toolkit if you go that way to avoid any potential pitfalls that can occur.